With both my editors buried in winter storm Jonas and at least six inches outside my own suburban Boston window, it seems apt that today’s kids’ music download be one that sings of every school kids’ favorite day: A snow day. Snow Day by singer-songwriter Blue (a.k.a Williams James McAuley). has been one of my favorite winter anthems since I first heard it way back in ’99 on the obscure A Big Bang Holidang album. 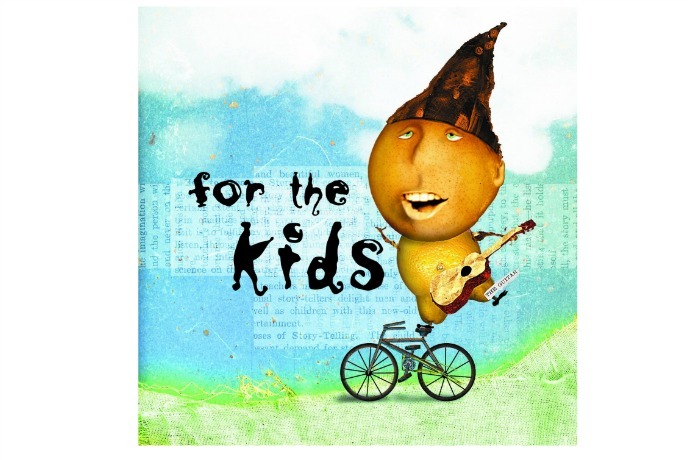 Since then, this joyful ode to a day off from school has been featured on the awesome kindie compilation For The Kids, and it is definitely one you’ll want to download today. Featuring an entire chorus of kids who echo Bleu’s fast-paced pleas for a snow day, this song fills me with that same excitement I used to feel when I was a kid hoping for that extra day off. Though as a parent, for a few minutes, I nearly forget that a snow day now means another day of entertaining the kids at home. Download a copy of Bleu’s Snow Day from For The Kids at our affiliate Amazon or at iTunes. Also find links to other fun snow day themed songs from Justin Roberts, Josh and the Jamtones, and Trip Shakespeare in our archives.